Economic conditions impacted co-op registrations into the early 1980’s with a steady drop in the number of area co-op jobs. A new logo appeared in 1977. What does it convey to you? Then President Frederick Schlimm declared 1983-1984 “The Year of the Co-op” as a way to raise awareness among local businesses and to re-emphasize the importance of co-op to the mission of the college. The marketing strategy focused on obvious concerns during the recession: re-training, non-traditional students, and on-the-job training. 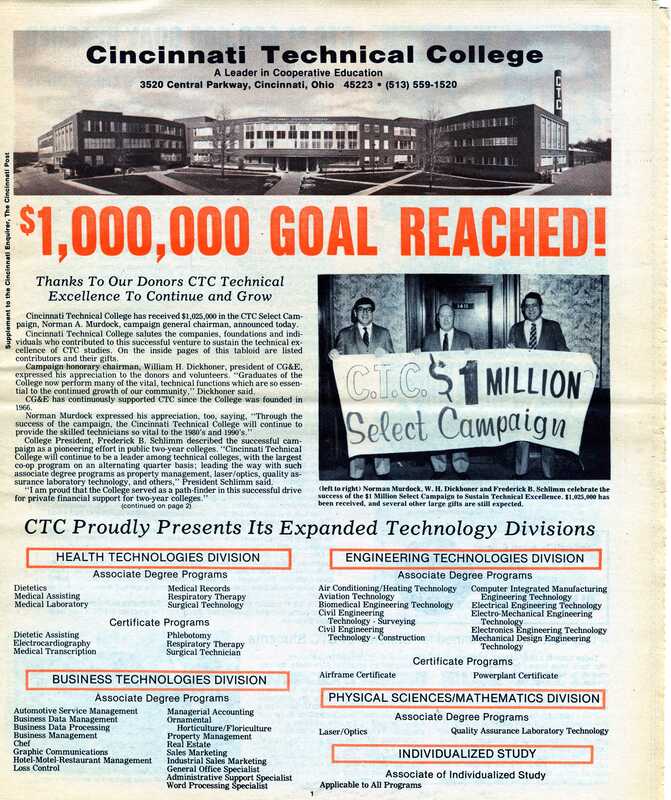 Cincinnati Technical College launched the “$1 Million Select Campaign”, a large fund-raising effort and the first of its kind for CTC. 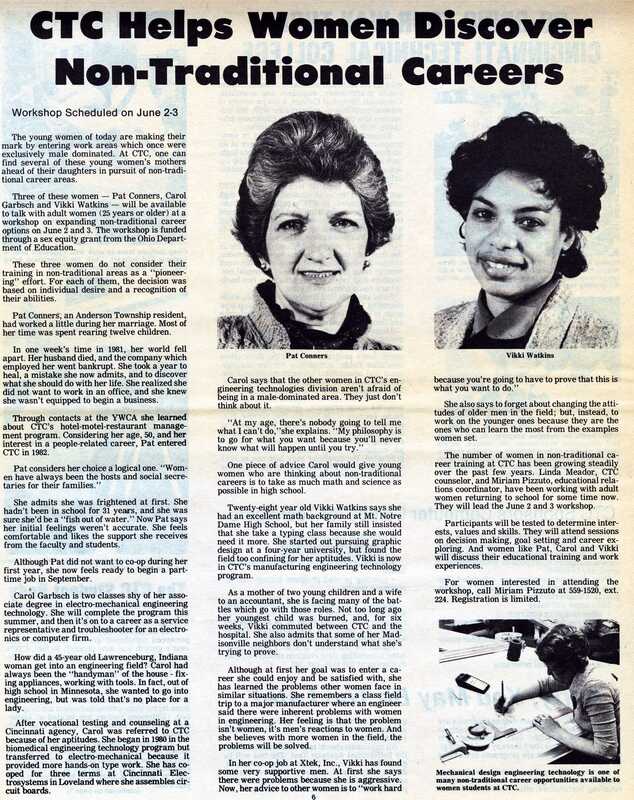 The goal was exceeded in 1983, as this tabloid insert announces. 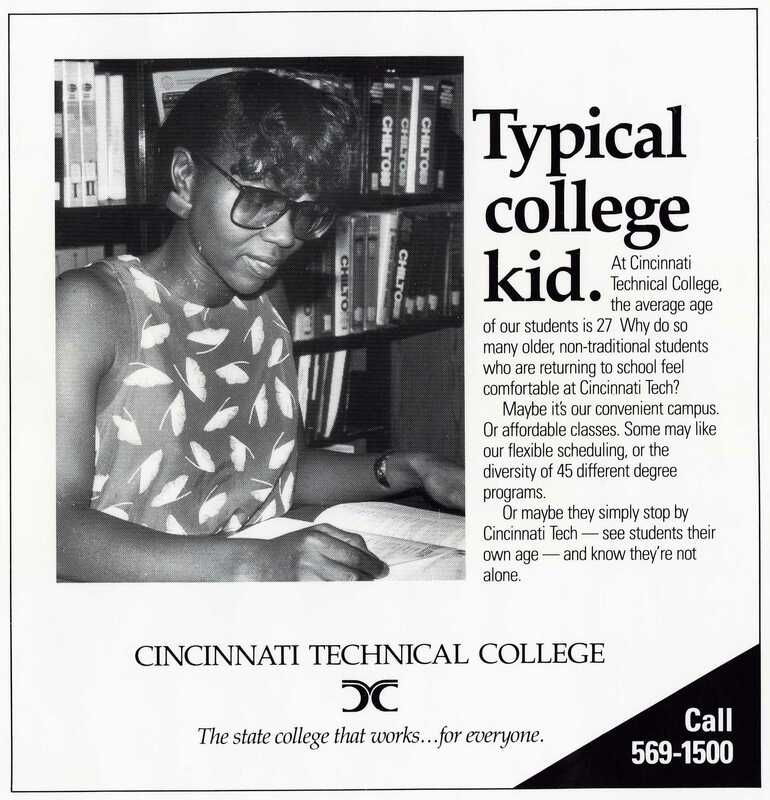 The ads above target women who would be pursuing “non-traditional careers”, or who would be considered “non-traditional” students based on age. This recruiting video also encourages non-traditional students, and “housewives seeking non-traditional careers”.